Iran Mahnwache Berlin, Sonntag, 1.Mai 2011, ab 16 Uhr, Pariser Platz – 23 Monate Dauerprotest gegen das iranische Regime. Menschenrechte kennen keine Grenzen. Solidarität mit der Bürgerrechtsbewegung. Allein in Isfahan stehen 152 Hinrichtungen an. Zeigen SIE Flagge im Kampf gegen die täglichen Menschenrechtsverletzungen im Iran. Ein Zeichen setzen für die streikenden Arbeiter im Iran. Es ist ein kleiner Schritt für JEDEN von uns, aber ein großes Zeichen der Solidarität für die Menschen im Iran. Hands off hard working Iranian teachers! 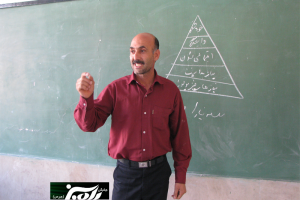 FREE Iranian teacher Rasoul Badaghi from the Islamic Republic prison NOW ! Picture-Rasoul Badaghi’s Wife and her twin daughters. IRAN WATCH CANADA : Let The Nation Be Free ! Rasoul Badaghi is a teacher and board member of the Teachers Union. He was arrested on September 20 ,2009 and was sentenced by the Islamic court to six years imprisonment and five years bann on practicing social activities . Since his imprisonment he wasn’t allowed to visit his family members. Kommentare deaktiviert für Hands off hard working Iranian teachers! FREE Iranian teacher Rasoul Badaghi from the Islamic Republic prison NOW ! Six Iranian refugees have been protesting outside the notorious UK Border Agency in Croydon, London since 5 April 2011. Mahyar Meyari (age 17), Mehran Meyari (20), Kiavash Bahari (26), Keyvan Bahari (30), Morteza Bayat (30) and Ahmad Sadeghi (55) are all protesting against the denial of their asylum claims. Keyvan Bahari has scars across his back and arms from 12 days of being slashed with razor blades by the Islamic Republic authorities. Mahyar Meyari, a teenager, was among those raped in prison after being arrested for participating in one of the post-election protests of 2009. He was only 15 years old at the time. محمد سیروان در تاریخ 1 اکتبر 2007 به سوئد آمده و از اداره مهاجرت این کشور تقاضای پناهندگی سیاسی کرده بود. ولی متاسفانه اداره مهاجرت درخواست پناهندگی وی را رد کرده و پس از چهار سال انتظار در تاریخ 10 مارس 2011 پلیس این کشور سیروان را در محل سکونت خود دستگیر و بازداشت کرده است. سیروان قبل از خروج از ایران با تشکیلات کومه له سازمان کردستان حزب کمونیست ایران در ارتباط بوده و به طور مخفیانه برای این سازمان فعالیت سیاسی میکرده و در سال 2006 هنگامی که موقعیتش به خطر افتاده بود از سنندج شهر محل زندگی خود خارج میشود و خود را به اردوگاه کومه له در عراق میرساند. Shirko Maarefi the Iranian- Kurdish political prisoners who was sentenced to death went on hunger strike ! Let The Nation be Free , before they storm the prisons all over Iran! Background: Shirko Maarefi resident of „Baneh“ city was arrested and detained three years ago and was sentenced to death by the “ court of Revolution“ in „Saghez“ city .The sentence was appealed in the court of appeal but it was reinstated. Kommentare deaktiviert für Shirko Maarefi the Iranian- Kurdish political prisoners who was sentenced to death went on hunger strike ! Following a hunger strike by political prisoners at Rajaee Shahr Prison in Karaj, Ali Tabarzadi, son of political prisoner Heshmatollah Tabarzadi spoke with the International Campaign for Human Rights in Iran about his recent visit with his father. “I had a booth visit with my father last Thursday. He told me political prisoners from different age groups have joined the hunger strike and are following it together. He said that during the first week, the hunger strike took place for one day, then two days on the second week, and three days on the third week, and so on, with more days as the weeks go by. This strike will go on until the situation in the prison is noticeable,” said Ali Tabarzadi. In an interview with the International Campaign for Human Rights in Iran, Fatemeh Alvandi, mother of prisoner of conscience Mehdi Mahmoudian, said that her son has developed epilepsy in prison and is in dire physical and psychological shape. “As you know, Mehdi’s lungs were damaged seriously as a result of the psychological and physical torture he received in solitary confinement. One of his lungs has almost entirely collapsed. The Medical Examiner said six months ago that as a result of that pressure and torture, Mehdi should be transferred to a hospital and treated immediately. But authorities did not accept this at all and didn’t give him leave. With our continued pursuit of the matter and after going to many government authorities, a neurologist and an internist came to see him in prison. They determined that he must receive a brain scan and should receive serious cardiac examinations,” said Alvandi. (28 April 2011) The International Campaign for Human Rights in Iran expressed deep concern about the violent suppression of the ethnic Arab population in Ahwaz, Iran, which has reportedly led to the death of dozens of protesters as well as numerous injuries and arrests since 15 April 2011. The Ahwazi Organization for the Defense of Human Rights reported that 48 people have been killed, and hundreds arrested. Iranischer Journalist erhält UNESCO-Preis für Pressefreiheit – Herzlichen Glückwunsch!!!! Bonn (epd). Die UNESCO ehrt den iranischen Journalisten Ahmad Zeidabadi mit dem Guillermo-Cano-Preis für Pressefreiheit. Der inhaftierte Reporter erhalte die Auszeichnung für seinen Einsatz für Demokratie und Menschenrechte im Iran, teilte die Deutsche Kulturorganisation der Vereinten Nationen am Donnerstag in Bonn mit. Der Preis ist mit 25.000 US-Dollar (17.000 Euro) dotiert und wird zum Welttag der Pressefreiheit am 3. Mai in der US-Hauptstadt Washington verliehen. Standards regulating wages and conditions of work and work place. Among the statement’s signatories are leaders of Wisconsin union workers, prominent human rights activist and Nobel Peace Laureate Ms. Shirin Ebadi, as well as AI-Wisconsin, AI-USA, and United4Iran. The statement and its signatories will be published in full on May 1, 2011 to coincide with International Workers’ Day. If your organization would like to get involved – especially by encouraging your locale’s union leaders to sign it – please e-mail us ASAP at info@united4iran.org to coordinate.